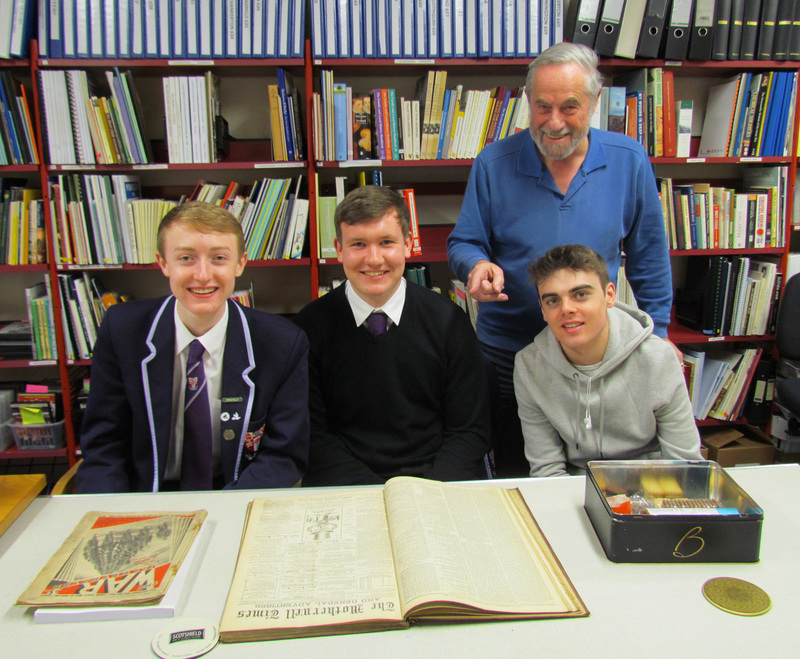 Senior pupils visited the Lanarkshire Family History Society Resource Centre recently to discuss joint working on a local history project. David O’Hara, Craig Thomas and Ross Walker were introduced to the Society’s research materials by Chairman, Bob Stewart, who brought out old newspapers, books and maps for our students to pore over. The group intend to focus in the first instance on former pupils who were involved in World War I. Our thanks to Bob Stewart and the Society for their kindness (and biscuits!) in offering their support for what was just the first of hopefully many many productive meetings. 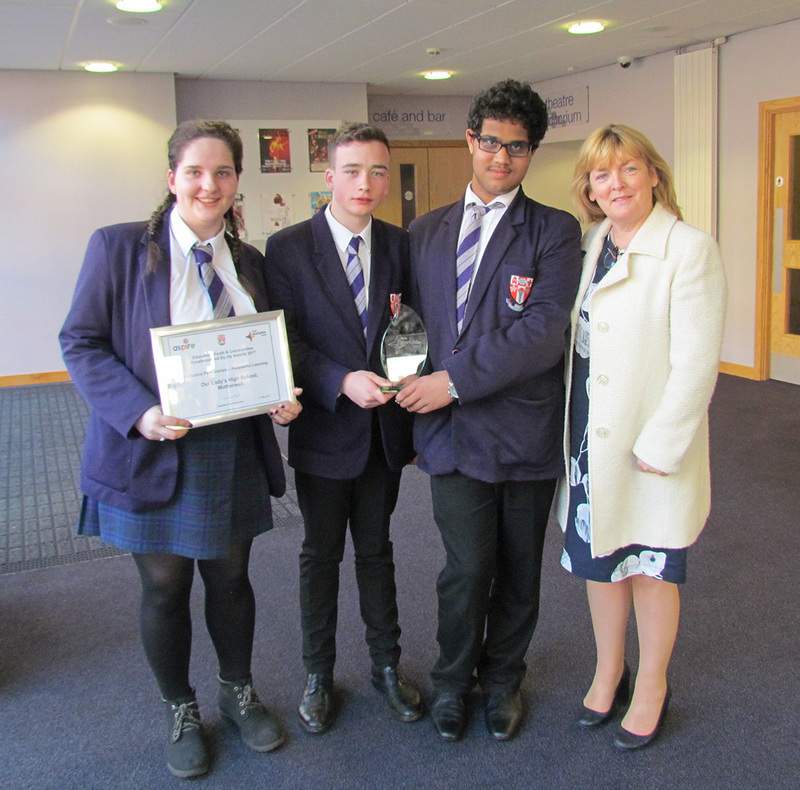 Last week, 3rd year pupils rounded off their study of World War One by taking part in three lessons designed to focus on the contribution of the men of Lanarkshire who fell. On Tuesday, the pupils took part in a small service with Father King in the War Memorial Chapel. Although this was built to commemorate the dead of World War Two, Father King spoke of its significance in helping us to remember the fallen of all wars, and in particular ex-pupils of Our Lady’s High School. On Wednesday, local historian, Mr. Joe O’Raw, visited to discuss his work over the past 25 years researching the contribution of Lanarkshire men to World War I, and was able to share with the pupils stories which had made a great impression upon him. On Thursday it was the pupils’ turn to turn investigators as they researched fallen family members using the Commonwealth War Graves Commission website. Special thanks from all pupils involved go to Father King and Mr. O’Raw for their time and efforts.